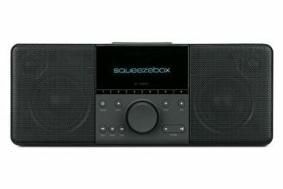 Save £50 on a Logitech Squeezebox Boom at Amazon.co.uk | What Hi-Fi? If you're after a compact all-in-one wireless streaming music system to get your house party jumping, then how about £50 off the Logitech Squeezebox Boom from Amazon? If you fancy taking the plunge then there's a tidy £50 discount available from Amazon until June 21st – so get your skates on.